CARLSBAD — The debate over a public vote continues to rage on regarding the McClellan-Palomar Airport Master Plan update. Over nearly four hours, the City Council listened to presentations from San Diego County and independent legal counsel and comments from residents on Feb. 20. There was no action taken and the item will return before the council on March 13 for direction or action. Still, many residents remained unconvinced saying the county’s proposal to extend the runway several hundred feet equates to an expansion of the airport, despite no calls for the boundaries to be moved. 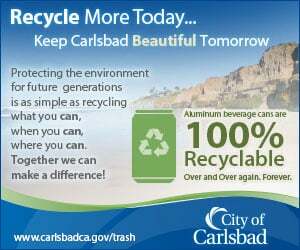 “The city in no way has accepted the county analysis,” Carlsbad City Attorney Celia Brewer said. “What I asked for is an objective legal analysis (from outside counsel) about the scope of the city’s authority over the proposed master plan. I do believe the analysis paints a realistic picture of the legal and regulatory landscape for this project. Attorneys Peter Kirsch and Sarah Rockwell, from the Denver law firm Kaplan Kirsch & Rockwell, have decades of experience regarding airport law. The two reported that their interpretation of the Carlsbad Municipal Code 21.53.015 and Conditional Use Permit 172, the two items central to the issue, do not meet the standards to trigger a public vote. The firm was retained to independently review the ordinance, master plan update and legal precedent. However, the council could decide to go forward, although San Diego County, which owns and operates the airport, would not be obligated to include the result in its master plan. In addition, Kirsch and Rockwell cautioned against a vote saying it could invalidate the ordinance entirely, thus leaving the city and residents with even less control. The attorneys described how little control cities have over airports and their operations and said standard land use ordinances and laws do not apply. Much of the control of airports resides with the Federal Aviation Administration and the owner or operator, in this case, San Diego County. The county also benefits from sovereign immunity, where counties are generally not subjected to city ordinances and compliance with a CUP is voluntary. In addition, the FAA has federal pre-emption, giving it additional control and powers, which adds to the complexity of the issue. Mayor Matt Hall said the city will research all available options including a public vote. One concern is getting the measure on the ballot. The San Diego County Board of Supervisors, though, is not expected to vote on the plan until the summer, although it could be longer since the county must address every comment on the plan. And depending on the timeline, a special election may be called or the item could be on the November ballot, which is most likely. Councilwoman Cori Schumacher attempted to form an ad hoc committee to assist city staff with its comments, but her motion died. She said adding pressure to the issue would benefit the city and other North County residents affected by the outcome. The attorneys, though, told the council it would be prudent to develop a more aggressive ordinance to ensure, put more pressure on the airport and encourage fly friendly programs. Several residents warned the council if they failed to move forward with a vote, they would suffer political blowback, especially those up for re-election this year. Dozens of residents spoke, all but two in opposition of the master plan update. Some questioned the veracity and credibility of the county’s master plan, while others noted issues with road traffic, bigger jets operating at the airport and even allowing cargo jets to land and take off during nighttime hours. Several noted the absence of any county representative at the meeting, saying it was insulting they did not come to answer questions. The county’s presentation was a one-hour video. The county, though, did hold three public forums over the past several weeks. Additionally, residents are worried the airport will turn into the next John Wayne Airport, which handles millions of passengers, has 26 commercial gates and is twice the size of the McClellan-Palomar Airport. Residents may submit comments to the county until March 19.